Artist Statement: I am one of those skilled photographers who know how to take advantage of the light reflections on waterscapes or how to capture great white panoramas. 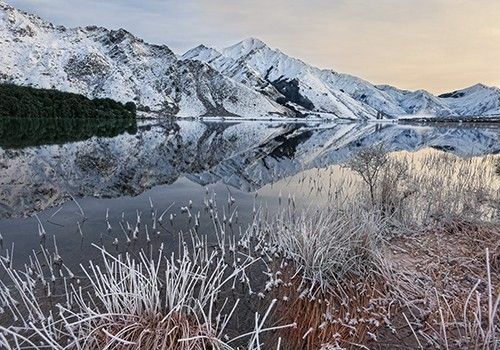 Taken during sunrise, in Moke Lake, South Island, New Zealand – this is a magical landscape capture that we loved – hopefully it will inspire you too! Limited Edition: each print in numbered and therefore, won’t be available to buy after edition runs out. Prints are on high quality watercolor paper with border of 1.5 cm to allow for framing. The sizes of prints detailed on the site, are the sizes of the paper, on which the artwork is printed. No cropping, change in size or edits will be made to the original artwork submitted to us by the artist. All artworks come with a certificate of authenticity detailing the artwork title, edition serial number, and artist name.